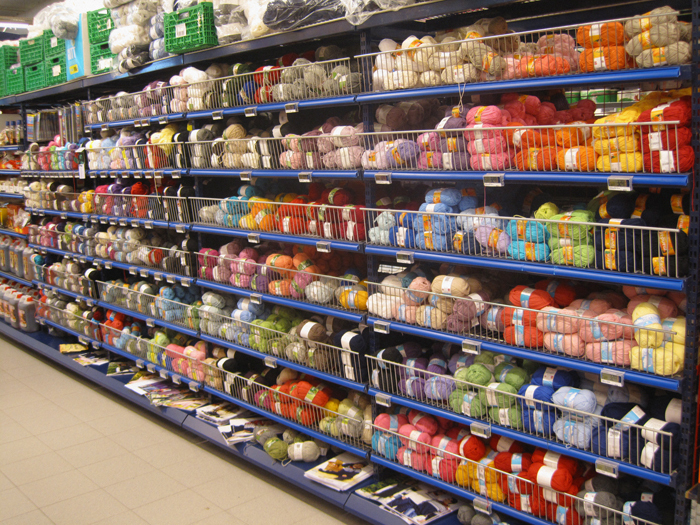 Yarn Supermarket Shelves - Lifco Technical & Trading Co. If you have yarn as your products, Lifco Technical and Trading Co. know just the right shelf for you. The kind that can allow you to display all colors of yarns you have in an organized way.